This unique text offers a comprehensive overview of who participates in politics and why, how social and political institutions shape that involvement, and, ultimately, what form citizen political participation takes. 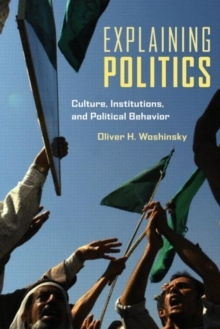 Drawing on a multitude of factors to explain politics and political behaviour, Woshinsky shows that political outcomes depend on a complex interplay between individuals and their environment. Psychology, personality, and ideology, together with culture, institutions, and social context shape political behaviour. Explaining Politics offers a wealth of comparative examples and practical applications through a lively and engaging narrative.